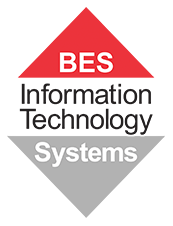 BES IT Systems is a Hewlett Packard partner in Brisbane, Queensland. HP are a Microsoft OEM partner and supply a fantastic range of commercial laptops, desktops, tablets, monitors, printers, consumables and accessories. We can assist your business with all HP solutions and products! Request a call back by leaving your details below and our local Brisbane-based experts will return your call within 3 business hours. Do you already know which HP products you would like to purchase? Order directly at our online shop www.besonline.com.au for fast service and competitive prices.